Mini doughnuts are pretty exciting. 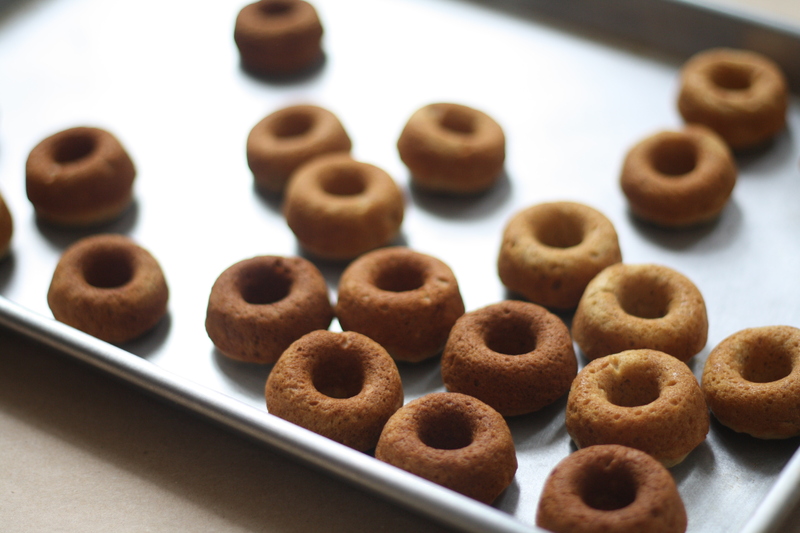 Tiny plus doughnuts – what is not to love? But I should probably clear the air before going any further. 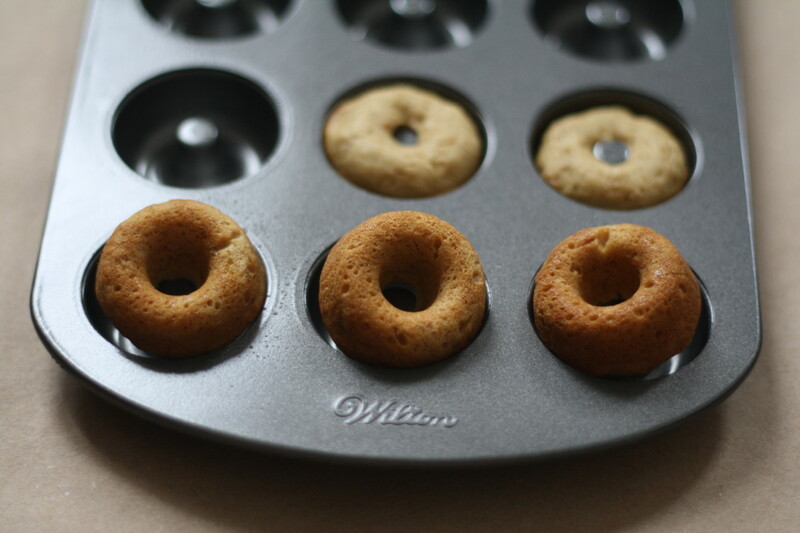 For quite a while I have been against The Mini Doughnut Pan. It always seemed like a frivolous baking extravagance that even I could not justify. (And this is coming from the human who stores sprinkles and cookie cutters under her bed.) There just seemed to me so many reasons against purchasing one, the biggest being that in my humble opinion The Doughnut Pan a one-trick pony. Get past the obvious and there aren’t too many reasons to tap in a mini doughnut pan into the game. Well maybe sorting beads. Or making ice rings. Or homemade sidewalk chalk. Or even making bird seed snacks. Okay, fine, there are apparently hundreds of possibilities for when a doughnut pan is appropriate! So rewind back to the tangle of slush and endless drab days and post-Holiday sales of a few months ago when low-and-behold I discovered a pan on extra super sale between the red and green cupcake liners and snowman gift bags in the back of a kitchen store. It had been so marked down that I had no choice but to give it a home. Practical reasons usually hold me back from making needless purchases but when a good price tag enters into the equation, frugality always wins. And so for a while the pan just hung out. It wasn’t even being used to make bird seed treats or as an ice cube tray. But recently, for no other reason than having an old banana in the freezer and a handful of coconut left in my pantry, I took The Pan out for a spin. Thus a banana bread-esque variety of the baked doughnut was born. With a bowl and a whisk this quick batter comes together in no time flat. The first batch came out of the oven and then it all made sense. I got it. I got everything about the craze. I understood why baked doughnuts have taken over the Internet. They are amazing and everything I thought they never would be able to be. Don’t be like me. 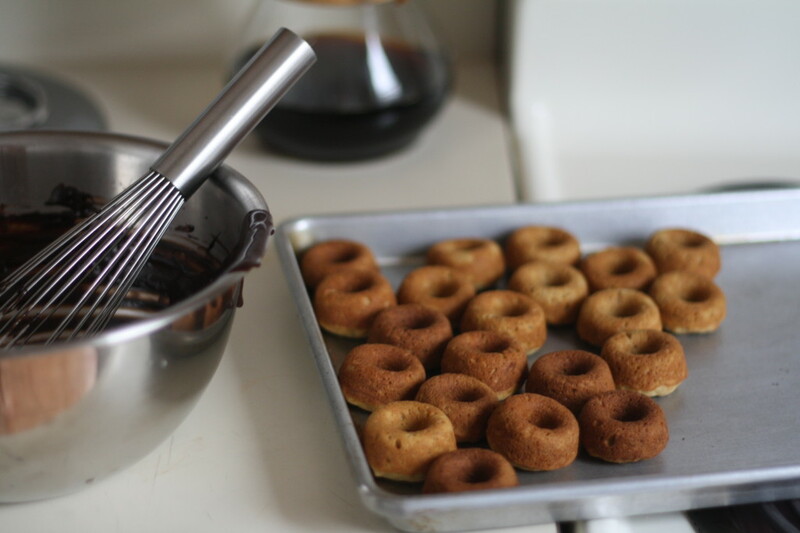 Get down on a pan and invite yourself to the tiny doughnut party. Preheat the oven to 350. Lightly butter or spray a doughnut pan and set aside. In a medium bowl whisk together the pureed banana, coconut oil, brown sugar and egg until smooth. Evenly sprinkle the flour over the wet mixture then add the baking soda, salt, baking powder and nutmeg. With several quick strokes – and being careful not to overmix – combine the dry ingredients into the wet until just mixed. Fold in the coconut. Transfer to a large zip-top plastic bag, snip off a corner, and pipe the batter into the prepared pan. (You can also use a spoon but the plastic bag trick really comes in handy here!) Bake for 6-8 minutes, or until the tops spring back when touched and are lightly brown. 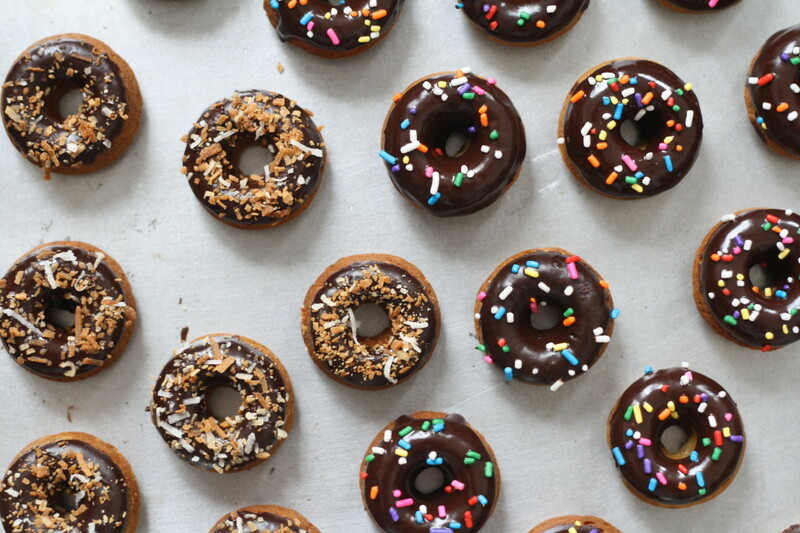 Turn out the doughnuts onto a rack and let cool completely. While the doughnuts are cooling, make the glaze. 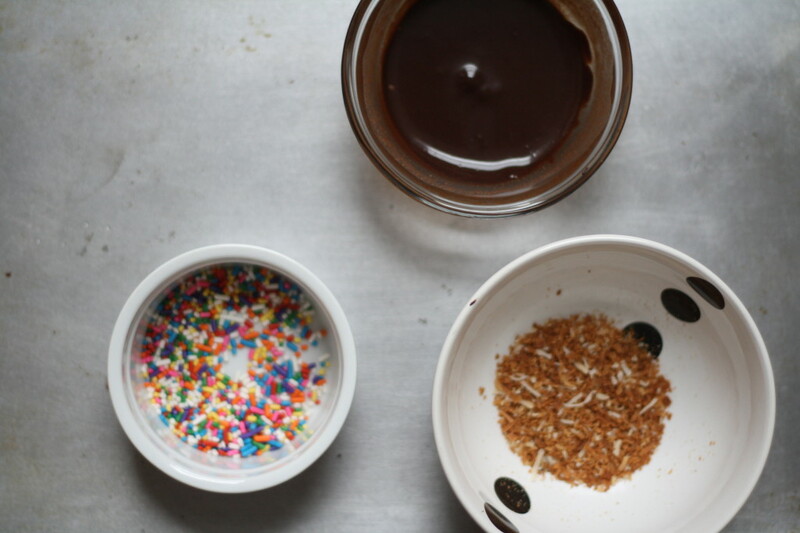 Whisk together the powdered sugar, cocoa powder, vanilla, and espresso powder in a medium bowl. Whisk in the milk – one tablespoon at a time – until you have a smooth glaze. 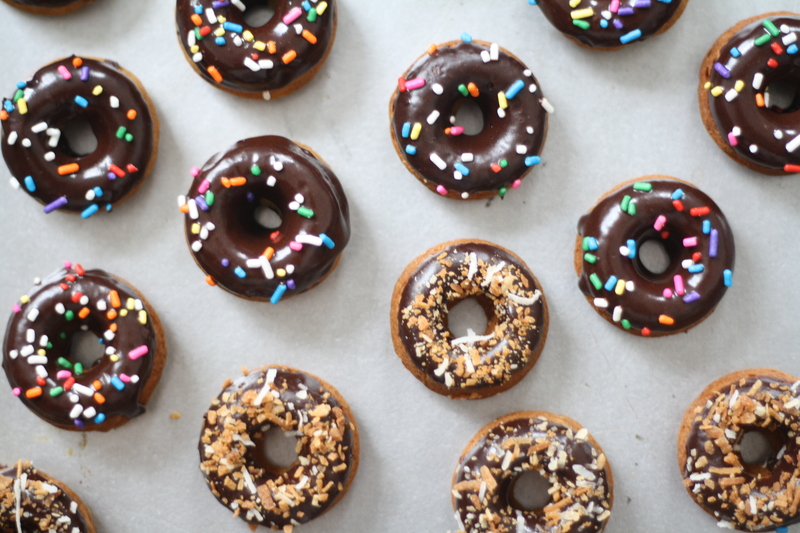 Dip the top of each doughnut into the glaze and garnish with sprinkles and/or toasted coconut. Thank you for finding (and linking) my donut pan ideas. 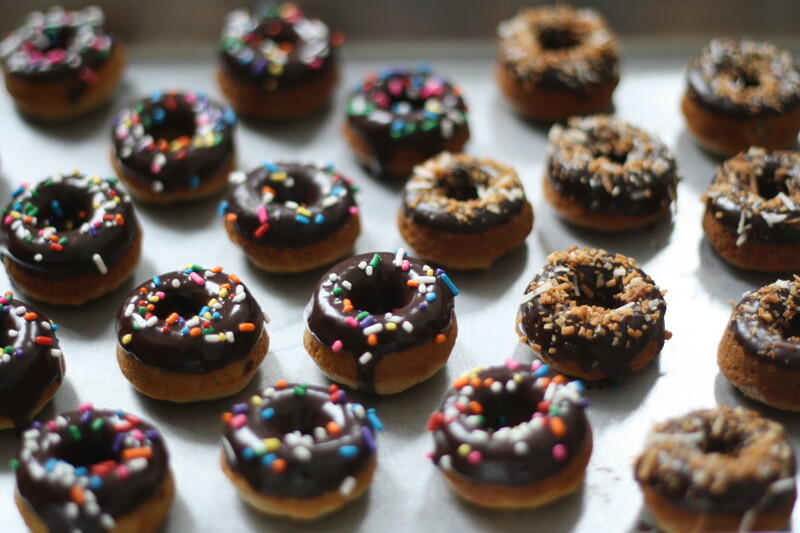 I have to say, you have made some gorgeous looking mini donuts here. I’m glad you took the plunge and bought the pan! Oh I just recently bought a donut pan! I would love to give it a whirl with these darling little banana bread doughnuts. Thanks for sharing! Damn these are cute!! Love the idea of banana bread doughnuts! Good grief – these are too cute for words. Really makes me want to run out and buy a mini donut pan..but it took me long enough to talk myself into getting a regular size one (which I have come to adore). These look so adorable and sound delicious. Mini donuts are DEFINITELY exciting!! Love this recipe! I love these! Wondering if it would work with substituting coconut/almond flour blend or another gluten free flour blend? I had such a similar experience to you – living in a small nyc apartment, I just don’t have room for random kitchen accessories. And then I found a donut pan at TJ Maxx one day, and I had to buy it. $8??? How do you say no to that?! And I am obsessed!! I love baked donuts!!! 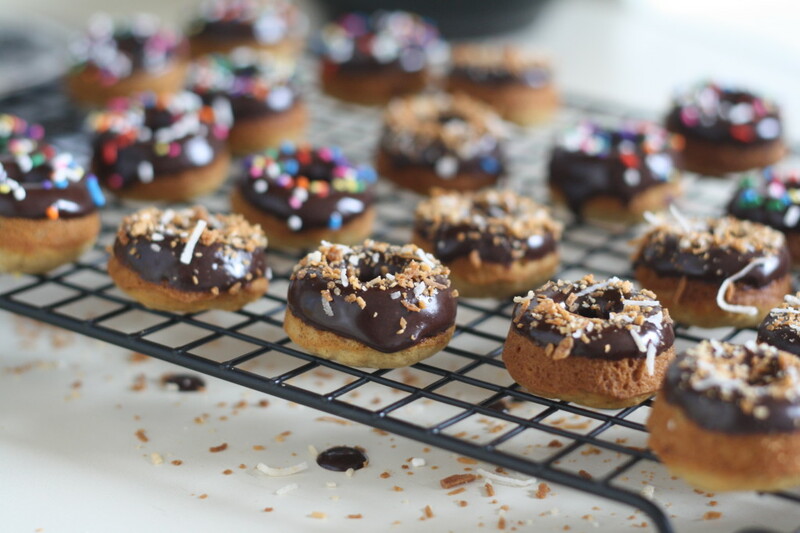 I’m jealous of your tiny donut pan – these little guys look so delicious, and so cute!! I can’t stop looking at these! So sweet!